If elected, the 59-year-old will be the first tribal woman to become the President of India. New Delhi: With just a few weeks to go for the Indian Presidential Elections 2017, political parties are yet to name their nominees for presidential candidate. However, one particular name doing rounds in social media is Draupadi Murmu, the present Jharkhand governor. If elected, the 59-year-old will be the first tribal woman to become the President of India. The 2017 election for the President of India is scheduled to be held on July 17. President Pranab Mukherjee's term comes to an end on July 24. The Election Commission of India has already set in motion the process to elect 14th President of India, issuing a notice today for filing of nominations. The BJP and its allies will reveal their choice for President of India by June 23. The opposition has indicated that based on who the government picks, it will decide whether they want to nominate a different candidate, leading to the Presidential elections on July 17. 1. 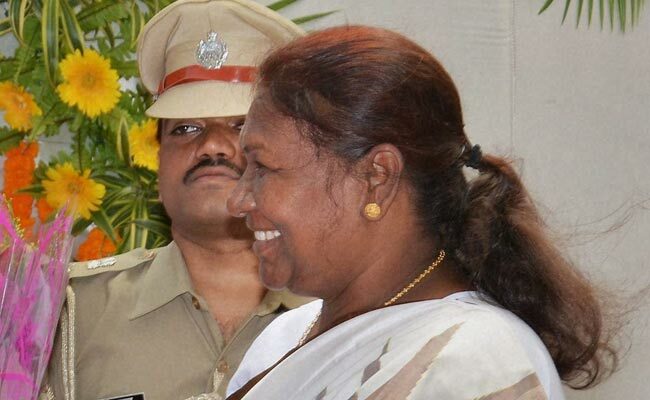 Droupadi Murmu is the first woman to be sworn in as the Jharkhand Governor. She took charge of office on May 18, 2015. 2. A two-time BJP legislator from Odisha, Ms Murmu was a minister in the Naveen Patnaik cabinet when the Biju Janata Dal or BJD ruled the state with the support of Bharatiya Janata Party (BJP), reported the Press Trust of India. 3. Last year, she announced that she will donate her eyes at the Run of Vision programme organised by Kashyap Memorial Eye Hospital (KMEH), Ranchi. 4. An arts graduate from Rama Devi Women's College - Bhubaneswar, she spent almost two decades in politics and social service. 5. Ms Mumure is a former educator who taught at Sri Aravindo Integral Education and Research in Rairangpur. She also worked as a junior assistant in Irrigation Department. 6. She started her political career as a councilor, later becoming the Vice-Chairperson of Rairangpur National Advisory Council or NAC. 7. In 2013, she rose up to the ranks of national executive member of the party's ST Morcha. 8. In 2007, she was awarded 'Nilakantha Award' for best legislator by the legislative assembly of Odisha. 9. Draupadi Murmu's candidature is being viewed as an effort to win the tribal vote share across states by BJP for the upcoming General Elections 2019. 10. 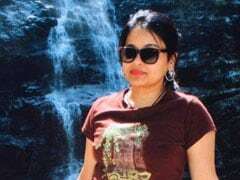 According to reports, Ms Murmu's husband - Shyam Charan Murmu - and her two sons have passed away. She has one daughter.